OXFORD, Miss. 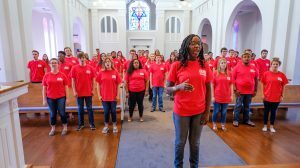 – As World Day of Peace was observed around the globe Wednesday (Sept. 21), the University of Mississippi Concert Singers joined their voices as part of a worldwide choral cry for peace that live-streamed on the internet. The live performance aired at 2:30 p.m. on USTREAM under the group designated “AVoice4Peace.’ A pre-recorded performance of the UM Choir will be added to many from around the world on a website called “AVoice4Peace” at http://avoice4peace.org/#a-day-for-peace. Stellah Mbugua, one of the members of the Nairobi Chamber Choir who came to UM on their tour, sang background on “Ukuthula” then. She is pursuing a Master of Music in choral conducting at UM this fall and has become the featured soloist for the UM Choir’s performance. Mbugua, 27, said she initially was hesitant about being the soloist, even though the song’s message resonates deeply within her. “I’ve never led this song before and was very nervous about doing so,” she said. “But as I sung it, I felt this energy making me stronger and compelling me to sing. Besides the website, a documentary about the “A Voice 4 Peace” experience is being filmed, Trott said. World Peace Day – officially The International Day of Peace – is observed annually on Sept. 21. It is dedicated to world peace, specifically to strengthening the ideals of peace, both within and among all nations and peoples. Organizers hope that it will become the occasion for a temporary ceasefire in combat zones for humanitarian aid access. In 2001, the General Assembly adopted resolution 55/282PDF document, which established Sept. 21 as an annual day of nonviolence and cease-fire. 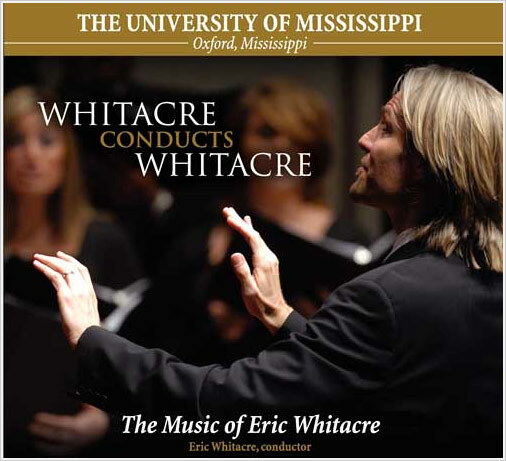 For more about the UM Concert Singers, visit https://choral.olemiss.edu/about-us/.